Link lists or blog rolls can be used to add lists of links to your blog sidebar. You can uses this to provide links for all sorts of purposes. You can categorise links and use these categories to display different groups of your links in different places. Adding a list of links to you blog is a two step process. You create links in your dashboard in the Links area. You display the links using a Widget which is set up on the Appearance-> Widgets section of the dashboard. 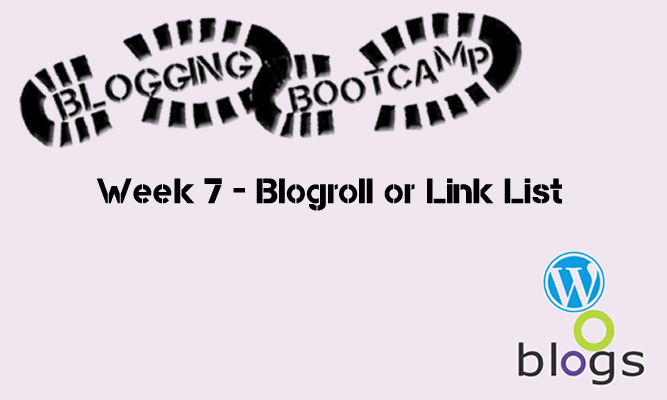 Here is a screencast from the Blogging Bootcamp that shows how to add links. After logging onto your blog in the Dashboard go to the Links section. This takes you to the Add links screen. You need at least a Name and a Web Address . It is best to copy paste links rather than add them from memory! 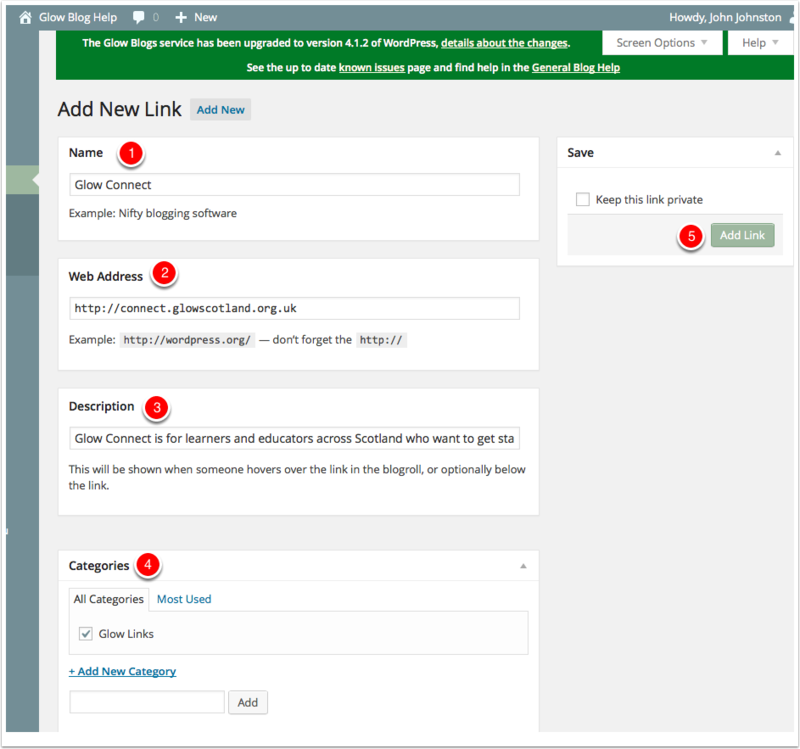 to save your link click Add Link This will save the link and empty the fields ready for adding another link. 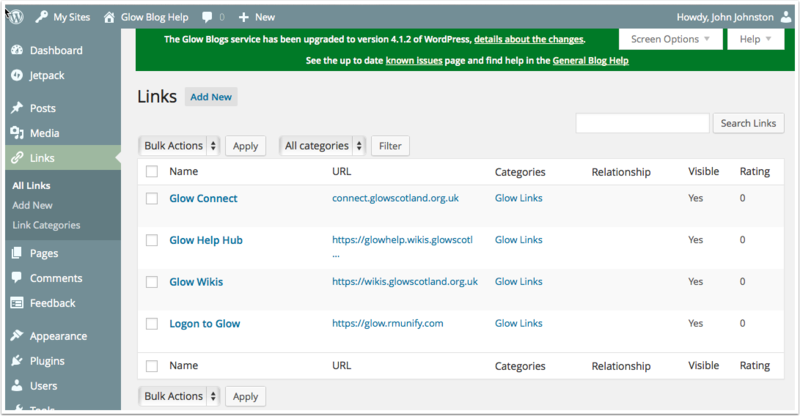 The main Links page on your dashboard will give you access to edit the links, organise them etc. After you have added some links you still need to add a Widget and configure it. In the Dashboard go to Appearance  -> Widgets . Drag the Links Widget into a Widget Area. Remember to Save the Widget. After saving you should see the widget on the blog sidebar.